The New Zealand Marist Colts came to visit us. They talked to us about our School Values. After that they spent an hour playing sports with us. 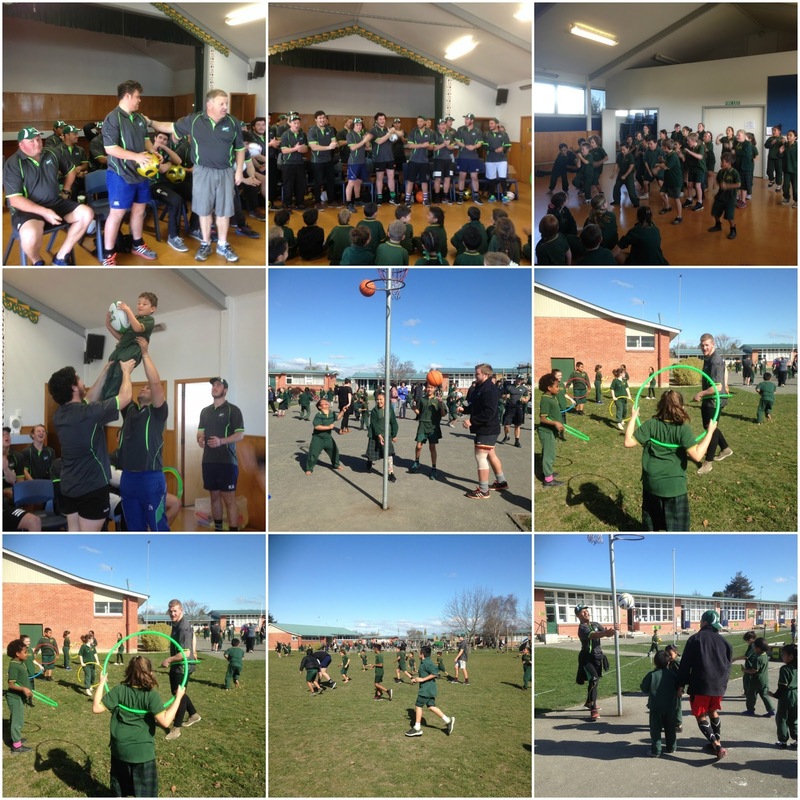 They donated us lots of new sports equipment. This week we had our second after school session of Reading Together. 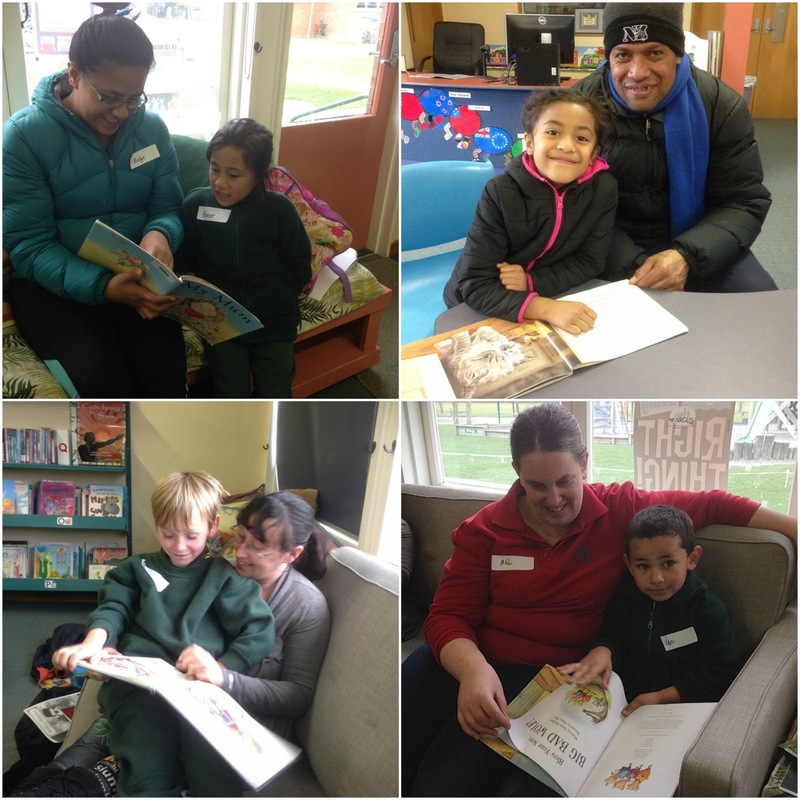 Our focus was to support our parents with how to select appropriate reading books for their children to read. We painted our self portraits and then made ourselves have crazy hair by blowing dye through a straw. These are displayed in the library. We have been learning how to skip count in twos by using our special penguins. We have also been making numbers out of beans. At the start of the week we had our poetry presentation. Miss Patrick was very proud of the students who represented our class. You are so lucky to get all the sports gear. I hope you are able to get out and use it a lot. I was wondering who are The New Zealand Marist Colts?